“RAMINATOR” TRAVELS TO BOB BRADY AUTO MALL AND MACON SPEEDWAY FOR CAR-CRUSHING SHOW SATURDAY, MAY 23! (Macon, IL) Macon Speedway and Bob Brady Auto Mall have lured the “Raminator” to Decatur and Macon for a day of autograph signing, photographs and, CAR CRUSHING! From 11 am to 2pm, Bob Brady Auto Mall will be hosting the Raminator with an autograph session with the driver Mark Hall. The Macon Speedway two-seater late model car will also be on display at Bob Brady Auto Mall with a Raminator exhibition at 1pm. The Raminator will then travel south to Macon Speedway for an action-packed night of autographs and car crushing…YES, CAR CRUSHING! Decatur Auto Parts has offered up a few cars for the Raminator to demolish that night. Make sure to bring your cameras! 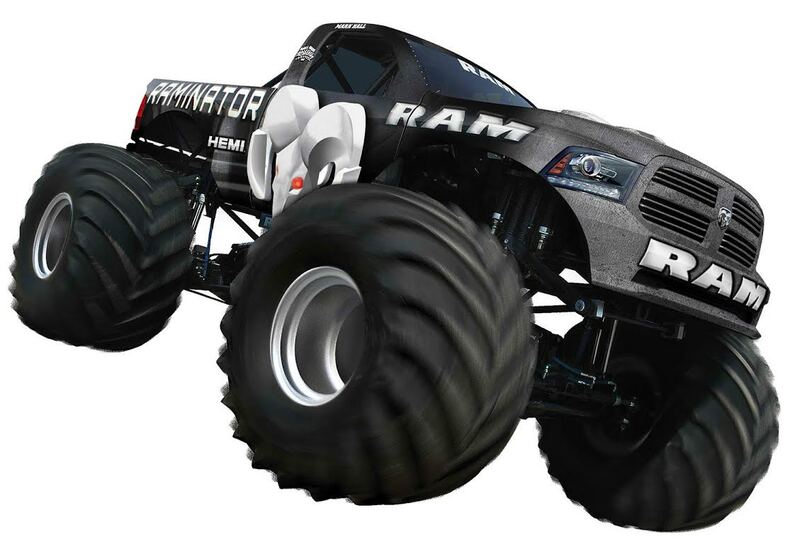 Kids and adults alike will be thrilled when Raminator, the World’s Fastest Monster Truck and it’s 565cubic-inch supercharged Hemi motor is fired up, powering Raminator through an absolutely breath taking exhibition. Also that night will be exciting racing featuring the Pro Late Models, Billingsley Towing UMP Modifieds, UMP Street Stocks, UMP Hornets, and Illinois Lightning Sprint Car Series. Saturday Night is all about the kids as the CEFCU Kid’s Club will also be on hand with fun and games for the young ones topped off with Raminator and all the action on the 1/5 mile dirt track of Macon Speedway. Gates will open at 5pm with racing beginning at 7pm. Adult general admission tickets are $12 and kids 11 & under are still free. Then don’t miss day two of our double header weekend with our Memorial Day Special on Monday May 25. Fans in attendance will receive prizes from Sun Drop courtesy of American Bottling Company. NASCAR Stars Kenny Schrader and Kenny Wallace will be on hand to do battle in their Billingsley Towing UMP Modifieds and will be signing autographs after the races in the pits. Also racing will be the Midwest Big Ten Series Pro Late Models, UMP Street Stocks, UMP Hornets, UMP B-Modifieds, Beach House Micros. Monday’s events will start an hour earlier with gates opening at 4pm and racing at 6pm. Adult general admission tickets are $15 and kids 11 & under are free.